The Congress veteran from Bihar was elected as MLA in 1980, defeating Jai Narain Prasad Nishad of the Janata Party. 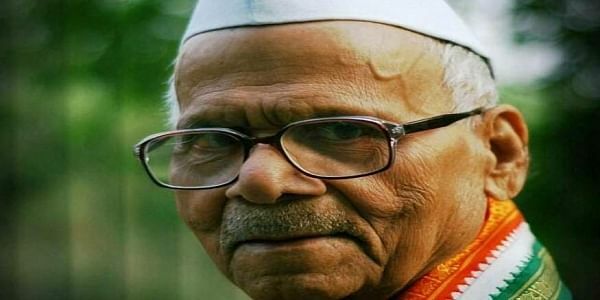 NEW DELHI: Senior Congress leader and former Union Minister L.P. Shahi died early on Saturday at the All India Institute of Medical Sciences (AIIMS) in here. He was 98. "The loss of L.P. Shahi, freedom fighter, former Union Minister and CWC (Congress Working Committee) member will be felt by all of us in the Congress Party. My thoughts and prayers are with his family in their time of grief. May his soul rest in peace," Gandhi tweeted. The loss of Shri L P Shahi, freedom fighter, former Union Minister & CWC Member will be felt by all of us in the Congress Party. My thoughts and prayers are with his family in their time of grief. May his soul rest in peace. Former Bihar Chief Minister and Hindustani Awam Morcha (Secular) chief Jitan Ram Manjhi in his condolence message said, "Bihar has lost a great leader and a literally scholar. And personally it's a big loss for me."